JUNE UPDATE: In June 2018, the Board of School Commissioners resolved to halt work on any Capital Plans related to the construction of new preschool centers in the district. The Superintendent was asked to bring back another path forward to address space constraints and deferred maintenance; that plan will be presented summer of 2018. 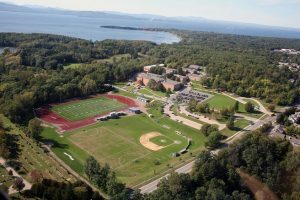 Note: Because of the amount of work needed to be done on BHS, when the 10-year Capital Plan was in development, Burlington High School was purposely left out of the 10-year plan, and a community-driven team was charged with creating a separate plan for that facility. Please visit our BHS Renovations page to see the most recent update. Overview: On April 10, 2018, our facilities team presented the latest ideas for a plan forward in year two of the District’s 10 Year Capital Plan. The board was presented with an exciting plan that includes upgrades at Hunt and Edmunds. Additionally, BSD’s facilities team put forth their recommendation to move forward with the construction of two new early education centers, one of two options presented to the board in November of 2017. Check out the entire plan, timeline, and justification here, or look below for specific plans and ways to get involved (and note that this page is being frequently updated!). To see how we got to this point, please find the HISTORY of the Capital Plan towards the bottom of this page. Note? Looking for information on BHS? Click here. Snapshot: Substantial overhaul of Building C with new gymnasium, cafeteria, and nurses station, improved accessibility and student drop-off options, and the completion of the long-awaited MakerSpace. *Ward 2&3 NPA, SA & IAA PTOs, in the process of scheduling. Please note, we’re reading every response. While we may not be able to respond to each and every note, we are doing our best to make sure the community feels heard in this process. Thank you! On Town Meeting Day in 2017, Burlington residents approved a $19 million infrastructure improvement bond ballot, passing the item by 76.48% of the vote. The District plans to combine the bond money with money set aside for property maintenance in the budget each year. Those resources will allow for the implementation of a long-term, strategic plan for the property and facilities needs in the District. The planning of a large capital program has been happening since the spring of 2016 when the District began presenting property needs, assessments and long-term plans to constituents. Implementation of the capital program is underway, and we need your help! Please see below for updates and presentations, as well as ways to learn more and provide input in this ever-evolving process.